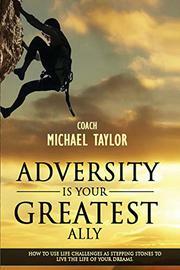 A thorough guide to seeing adversity as a tool, rather than as an obstacle. Unlike many self-help books, motivational speaker Taylor’s (Black Men Rock, 2013, etc.) title avoids the tired mantra of “overcoming” and “avoiding” life’s negative aspects, such as stress, challenges, and unhappy emotions. Instead, the author unusually suggests that nothing is good nor bad until one decides it is. Readers are thus encouraged to rethink the way they encounter difficulties, seeing them not as “bad” parts of life, but as the work of life itself. The physical world, Taylor explains, is but one part of a human’s existence. This is because, as he puts it, “you are not actually a human being having a spiritual experience—you are a spiritual being having a human experience, and your body is just like the suit of clothes that you are wearing.” When things don’t turn out as planned, whether they’re related to career, relationships, child-rearing, or educational goals, it isn’t necessarily a bad thing, he asserts. Instead, he encourages readers to practice mindfulness—the art of experiencing emotions from an observer’s point of view—and then determine how best one can use those feelings. He also suggests contemplation, a spiritual exercise of focusing on one aspect of life and looking at it from all angles. Taylor delivers cogent ideas in this book, backed by strategies that anyone can follow. For practice, he provides exercises to get readers in touch with what is truly important: “What are your deepest values? Select 3 to 6 and prioritize the words in order of importance to you.” These will speak to any reader searching for new perspectives on growth and living in the now. A fresh look at adversity and the ways in which it can enrich one’s life.